WooCommerce Order Barcodes Extension: This Extension generates a unique barcode for every order placed. ideal for e-tickets Use for ticketing, packing slips, reservations and more. 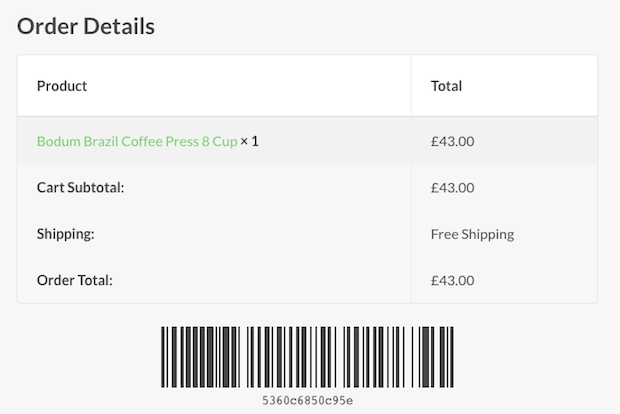 WooCommerce Order Barcodes Extension lets you create scannable barcodes associated with orders placed on your website. Perfect for events, bookings and reservations. And yes, the WooCommerce Order Barcodes Plugin does integrate with the WooCommerce Booking Extension. Scan codes and process directly on your WooCommerce site. 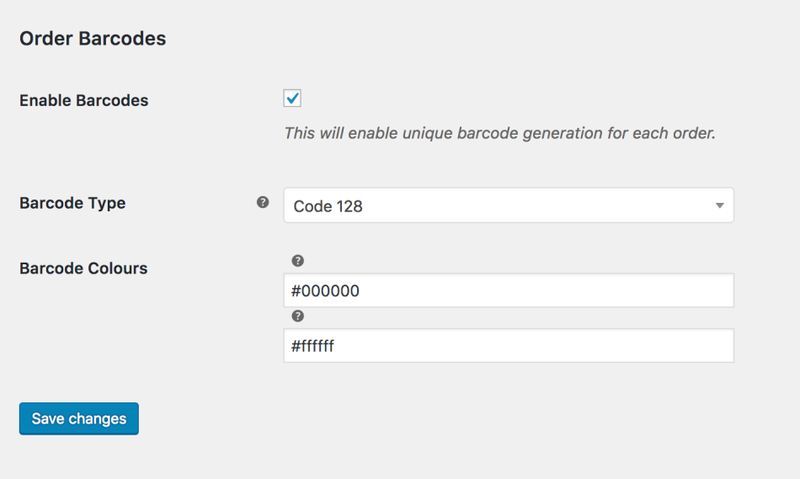 Creating a barcode scanning form is easy with WooCommerce Order Barcodes Extension! 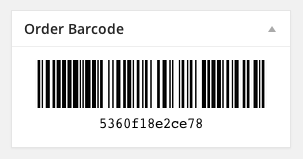 Simply embed the [scan_barcode] shortcode. 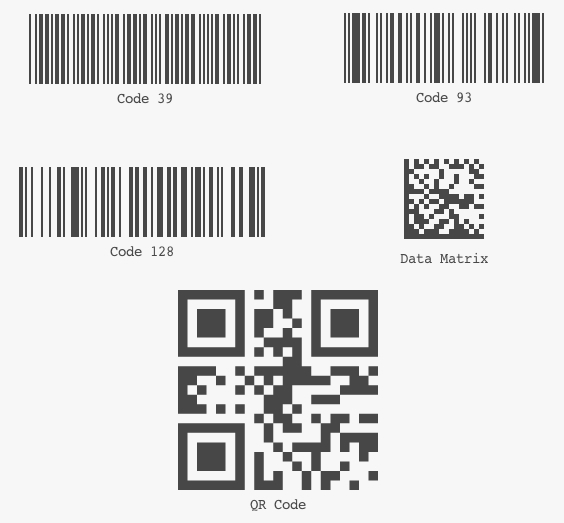 Scan barcodes with a USB scanner or manually enter the string of text that appears below the barcode. ◉lets you create scannable barcodes associated with orders placed on your website. Perfect for events, bookings and reservations. ◉You can Scan codes and process directly on your WooCommerce site.